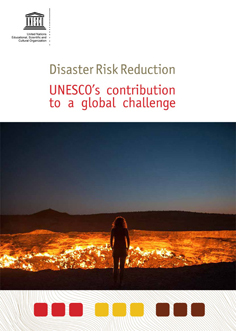 Working alone or in collaboration with both UN Agencies and other scientific entities, UNESCO has been a catalyst for international, inter-disciplinary cooperation in many aspects of disaster risk reduction. By operating at the interface between natural and social sciences, education, culture and communication, UNESCO plays a vital role in constructing a global culture of resilient communities. UNESCO assists countries to build their capacities in managing disaster and climate risk and with their ability to cope with disasters and it provides a forum for governments to work together, as well as essential scientific and practical advice in disaster risk reduction. The work of the Organization is being developed and implemented with Member States through its different Sectors, Intergovernmental bodies, Field Offices, Designated and Affiliated Sites, Category I and II Centers and UNESCO Chairs and Networks. Establishing and Strengthening a Platform for Knowledge Exchange and Scientific Cooperation: Through international scientific collaboration and its different academic networks and programmes, UNESCO promotes and fosters knowledge exchange in geological, hydro-meteorological and marine hazards. UNESCO conducts activities and research that improve quality of data, early warning systems, hazard mapping and vulnerability assessments. UNESCO works closely with national institutions, UNESCO Centers and Chairs and promotes inter-institutional and regional cooperation. School Safety: UNESCO empowers schools and their communities in the identification of the hazards and risks they are exposed to and their vulnerabilities by enhancing their capacity to manage them, and by implementing activities and setting standards for school safety. 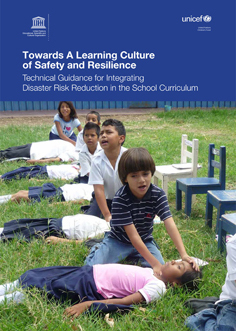 A Comprehensive Framework for School Safety, which consists of three overlapping pillars: (1) safe learning facilities, (2) school disaster management, and (3) risk reduction and resilience education -in a holistic approach of policy and planning-, has been adopted by the Global Alliance for Disaster Risk Reduction and Resilience in the Education Sector (GADRRRES). UNESCO chairs and holds the secretariat of GADRRRES and promotes a school assessment methodology – VISUS – which serves as a resource for supporting policy makers to decide where to focus their risk reduction efforts and interventions. The Organization also supports governments in the integration of disaster risk reduction into the curriculum and schools to set up management plans, training administrators as well as teachers and students in the process. 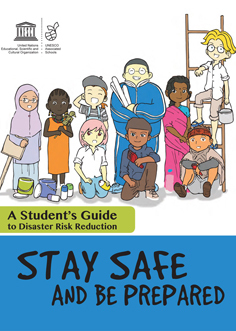 UNESCO’s work on school safety contributes to the Worldwide Initiative for Safe Schools (WISS). Improving Risk Information and Early Warning Systems: UNESCO promotes scientific exchange and collaborative efforts in order to establish effective early warning systems for different hazards such as tsunamis, landslides, volcanoes, earthquakes, floods and droughts. The Intergovernmental Oceanographic Commission of UNESCO has successfully coordinated the Pacific Tsunami Warning System since 1965. 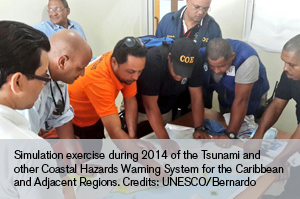 Following the 26 December 2004 tsunami in the Indian Ocean, IOC started to coordinate the development of similar warning systems for the Indian Ocean, the Caribbean and the North East Atlantic, the Mediterranean and connected seas. UNESCO helps Member States to collectively achieve effective early warning and monitoring, helps coordination between existing research centers and educates communities at risk about preparedness measures, including setting up warning and emergency response Standard Operating Procedures and community drill exercises. UNESCO promotes community-based approaches in the development of response plans and awareness campaigns, which strongly involve educational institutions and end-users. Strengthening Scientific Capacities for Disaster Risk Reduction: UNESCO facilitates and implements technical training workshops and research activities in disaster risk reduction to improve the capacities of countries to cope with natural hazards. 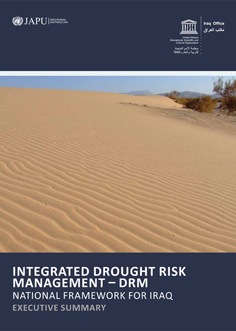 These capacity-building activities result in enhancing the current knowledge and in proceedings and resource materials to help decision makers and stakeholders to build their capacity in managing disaster risks as well as in creating networks of technical experts. Making Disaster Risk Reduction a Priority through Policy Recommendations: UNESCO provides an interface for disaster risk reduction between scientists, policy-makers and the civil society. 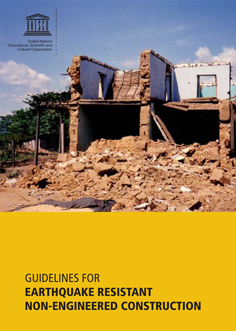 UNESCO prepares technical documents that serve national and local governments to better prepare and mitigate the risks related to natural hazards. Through its areas of expertise, UNESCO is also engaged in disaster risk reduction policy analysis and in the provision of recommendations and guidelines to Member States. 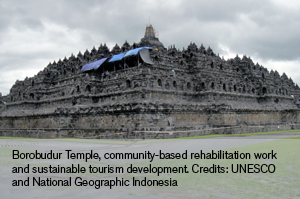 UNESCO Sites and Disaster Risk Reduction: UNESCO encourages the identification of risks, protection from different hazards (including climate change) and the preservation of UNESCO designated and affiliated sites including World Heritage Sites, Biosphere Reserves and Global Geoparks. 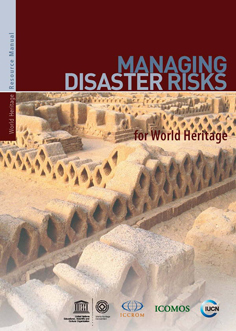 In this sense UNESCO supports Member States to integrate heritage and disaster risk reduction into national disaster reduction policies including management plans and systems for World Heritage properties in their territories. Through their commitment to being learning sites for sustainable development in unique ecosystems around the world, Biosphere reserves offer opportunities to understand the way changing environments impact communities. Global Geoparks play an active role in telling the story of past and active geological processes and the way they affect people. Many Global Geoparks have community and school programmes to educate about the source of geo-hazards and ways to reduce their impact including disaster response strategies. Ecosystems Services: UNESCO promotes the implementation of ecosystem-based disaster risk reduction. 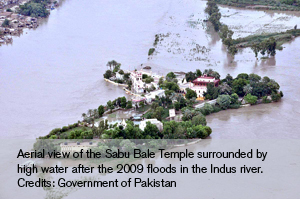 The Organization supports that this approach is mainstreamed in development planning at global, national and local levels and participates actively in the ongoing activities of the Intergovernmental Science-Policy Platform on Biodiversity and Ecosystem Services and the Partnership for Environment and Disaster Risk Reduction. 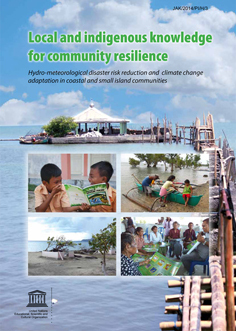 Community Resilience: UNESCO strengthens the resilience of communities to withstand natural hazards and climate change impacts. 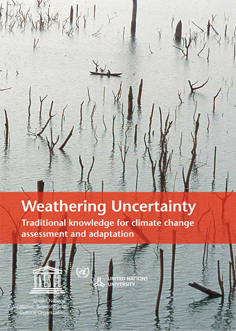 By identifying and documenting local and indigenous knowledge related to hazards and climate change adaptation, UNESCO helps in community preparedness and hazard mitigation. UNESCO develops educational and awareness-raising materials and tools and assists governments and communities in developing policies and managing in dealing with natural hazards and strengthening capacities through the sharing of lessons learned and good practices. Furthermore, UNESCO supports the efforts of Member States in measuring their vulnerability and/or resilience to natural hazards and to objectively understand and benchmark conditions that affect social and economic aspect. Post-Conflict and Post-Disaster Situations: UNESCO supports countries in post-conflict and post-disaster situations by ensuring strategic responses, including through efficient and timely provision of field support, adequate staffing and administrative support mechanisms in its areas of competence. UNESCO actively participates in the United Nations post-crisis coordination mechanisms, including joint needs assessments and formulation of multi-donor appeals. 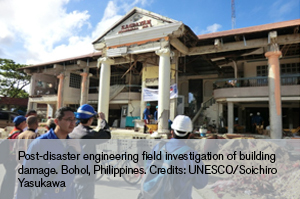 UNESCO undertakes post-disaster field investigations in order to determine the causes of the disaster that can inform policy and produce and disseminate lessons to be learned. UNESCO also provides assistance for the Field Investigation and Rehabilitation of UNESCO sites, including the setting up of a Rapid Response Facility. UNESCO trains teachers and parents to interactive learning and the complex aspects of emergency education, including psychological support for children and youth.